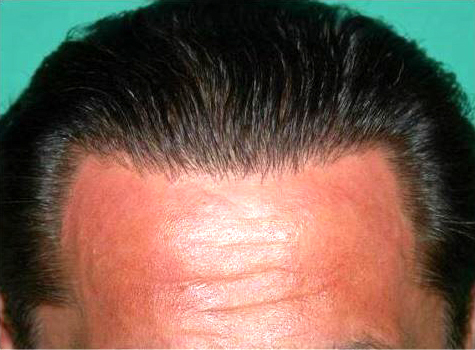 Before hair transplant with Dr. Ray Konior of Illinois. should be given to those who have lower levels of hair loss. Take this patient of Dr. Ray Konior of Illinois. He has had a nice full head of hair his entire life, HOWEVER, as he aged his hairline began to recede. Not just in the hairline above his eyes, but the temple area as well. It’s as if his face was once tightly framed by hair but age pulled the borders back to the point where even the casual observer would notice the increased area of forehead- even if the observer weren’t actively thinking about it. Clearly this bothered the patient so he sought out help from Dr. Konior. A word about Dr. Konior. He is a surgical hair restoration expert with over 25 years of real world experience. He is an internet superstar because he has posted so many of his results online for the world to see and comment on. Only the very best and confident hair transplant doctors will open themselves up to such public scrutiny and critique. top of his head the new transplanted area had to be thick enough to match and blend in. 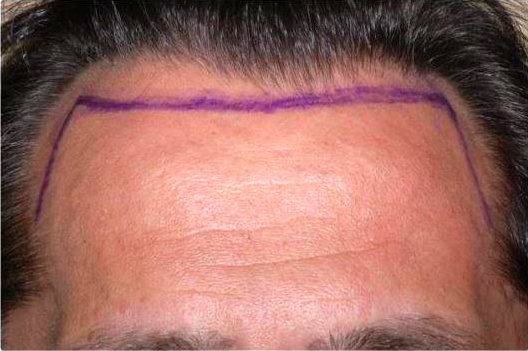 This is a challenge MOST hair transplant doctors cannot rise to. But Konior does so easily and consistently. The surgery was performed in a single day and before and after photos speak for themselves. If you desire a hair transplant you should seek out Dr. Konior and at least meet with him to discuss your options.